PLM (Product Lifecycle Management) sells a good story. Having one version of the truth available at the click of a button across your supply chain is a tempting proposition to say the least. But how often does this remain fiction rather than fact? The problem is there are significant challenges to rolling out across the supply chain. An obvious one is disparate geographical locations. Suppliers are based all over the globe, some will have good internet access some won’t. That’s the first obstacle. For those without, PLM just isn’t going to be an option. The second obstacle that geographical variation brings is language. Learning a new system can be a daunting undertaking, especially when you are likely to be expected to do it in a language that is not your first. Executing training courses is also tough when trainees are in a myriad of different locations and time zones, likewise with ongoing support. Another common challenge is that you will undoubtedly have suppliers that you work with on a regular basis that are a no-brainer to bring onto to PLM, but you will also have flash or adhoc suppliers that you only use rarely or even one off. This poses a similar question to those suppliers with poor internet access – how do you manage the product data from these suppliers? Suppliers will also likely be faced with having to interact with their clients through other systems such as ERP (Enterprise Resource Planning) and SCM (Supply Chain Management Systems) so face the same challenges that you will face – managing the full end to end data across different systems that often have limited integration. They may even have to work with a variety of different PLM systems to collaborate with different clients, just to add to the confusion. So what can you do to overcome these challenges and if not ensure, at least provide the best chance of a successful supplier rollout and management of supplier data in your PLM project? We’ll break it down into four components; Planning/Pre-implementation, Training, Rollout and Support and finally Non-PLM Supplier and Product Data. If you know that you want to collaborate with your supply chain via PLM from the offset then there are a couple of things you should consider before even selecting a PLM system. First identify which of your key suppliers you will want to bring onboard. Talk to these key suppliers to see what, if any experience they have with PLM. They may be able to give you valuable feedback on using a particular system or perhaps why the user adoption of other systems has failed. Involving them early in the process also shows that you are considering their needs and value their feedback and are not just forcing something onto them. Just like with internal team members, involving key people from key suppliers early on helps them to accept change. Secondly, start thinking about your as-is and to-be processes and begin to identify in which areas you want to collaborate with your suppliers through PLM. Is it just the tech pack and sampling? Perhaps you want them to be responsible for entering and keeping up-to-date material records. Will they be designing for you? It is good to be aware of the intended scope of your PLM supplier collaboration requirements before you formulate your RFI (Request For Information) for potential PLM suppliers. Although almost all PLM systems will offer some degree of supplier collaboration, the degree and flexibility can vary widely, and not all modules are always exposed out-of-the-box to supplier users. If you know you want suppliers to be able to manage their own materials, then make sure your chosen PLM system grants the necessary access and security to suppliers on the material object out-of-the-box. During demos of potential systems you need to see how the supplier users will work with the system on your chosen areas of collaboration and check that it is intuitive and the data is accessible with the required security. This can save expensive customisation later on and can help with user adoption on the supplier side. If you are perhaps looking to implement or replace additional supporting systems such as ERP and SCM, then it may be well worth considering solutions from vendors that offer fully integrated suites of applications such as EcVision, NGC, Core Solutions. This approach can make the technological and user adoption easier, both internally and with your supply chain. User adoption can usually fail due to a lack of sufficient or relevant training and supporting materials. When a user finds a system is too difficult to get to grips with and begins to hinder their day to day productivity rather than enhance it, they will typically revert back to the old way of doing things pretty quickly. This is no different for your supplier users as to your internal users. PLM is a toolbox and can be adapted to support your unique business process. Out-of-the-box training materials are never sufficient. They always need to be tailored to include your individual use cases. Suppliers need custom manuals or videos created for their roles as well. It is worth forking out to get these translated into local language as local employees may have sufficient English to understand garment specs as they are used to working with these, but the language included in training manuals for software systems may be quite alien to them. It is always easier to learn something in your first language. Just as you would with your internal team, identify super users within your suppliers. These are people that are keen to realise the benefits a PLM system can bring and are picking it up quickly. They then become a point of support for the rest of team. Getting suppliers onboard should never be attempted in phase one of your implementation. Your processes and configuration are very likely to change and refine during the first go live season. Not to mention that your internal users will be facing a lot of challenges getting used to the new way of working themselves. Until your processes and configuration is locked down and your internal users have reached a certain level of competency then you should not attempt to bring in 3rd parties. 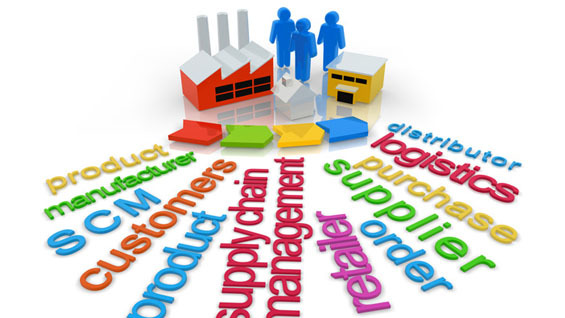 Roll out across your supply chain should be left until at minimum phase two of the project. Just like you rolled out internally, start simple. Have suppliers use PLM for one department or product line first, a simple one, to get used to it and be enable to iron out any issues within a smaller focus group. If possible have an expert available for support, particularly in their first season during their business hours as it can be very frustrating, or even not feasible to the workflow, having to wait until the next day for assistance. On a busy schedule they will just revert back to old way of doing things, with the danger of this becoming a habit. Internet speeds can be fragile and inconsistent across your supply chain. If you have a key supplier that you want to collaborate on PLM with, if they do not have high speed internet onsite then you may want to consider a technical set up where native image files are transferred overnight to save their work time bandwidth. They would still be able to view the web versions within PLM as the images and data came in. Unfortunately, there will always be suppliers where it is just not viable to collaborate with them via PLM, meaning you will either have to accept that there will be product data that remains outside PLM or you are going to have to resource that data entry at your end. Best practise would be to create a couple of additional roles within your internal team to enter the non-PLM supplier’s data into the system. You want to maintain one central repository for your product data and not force users to have to look in a different place for data relating to different suppliers. Not only is that inefficient but it also puts your internal user adoption in jeopardy. Having a central repository for all product data also minimises mistakes and risk of out-of-date data and makes reports more meaningful and easier to generate. It is also worth bearing in mind that suppliers that are not on PLM are still benefiting from the standardised tech packs that PLM produces. You could even consider a tool like Spatch to add some level of control and organisation to non-PLM supplier collaboration. Whilst there is no magic formula to guarantee a successful PLM rollout across your supply chain, careful planning and following the steps listed above will put you in good stead for triumph.